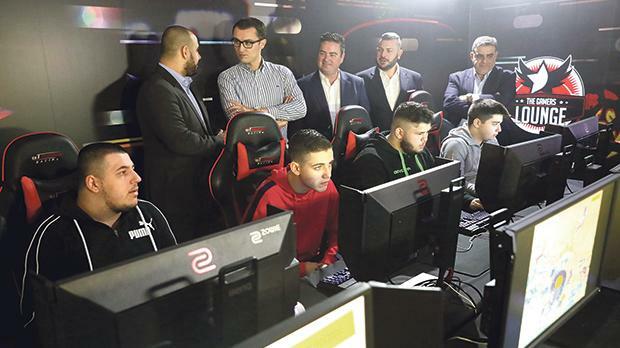 Over 350 gamers and more than 1,000 spectators attended the GO Malta Esports Festival 2018 in December at the Malta Fairs and Conventions Centre in Ta’ Qali. The largest esports event of its kind that Malta has seen and now in its sixth edition, the event hosted the passionate gaming community present locally and from over 10 countries worldwide. Esports, a form of competition using video games, takes the form of organised multiplayer video game competition between professional players. With a total of nine tournaments and over 1.5 million viewers on live streaming across all games and the world, the impressive prize of €25,000 was split between winners of various games including CS:GO, CODBO4, Fortnite, RL, HS, LoL, PUBG, DOTA and FIFA. In the Counter Strike:Global Offensive tournament, Valiance won the grand prize of $10,000 after beating Vitality 2-1 in the grand final. Valiance and Vitality both qualified for the ESL Katowice 2019 Minor. The €3,500 prize pool for Call of Duty: Black Ops 4, partnered with European Esports Gaming [EEG] was won by Black Claw after winning 3-2 in the grand final against After Shock. Four international teams from over six countries and two local teams took part in this tournament. Project Eversio, a local team managed to grab fourth place, something they are very proud of. A total of 12 teams also brought their computers to battle it out for PlayerUnknown’s Battlegrounds, competing in multiple tournaments during the weekend, with NT4L, the best four-player squad taking home the prize of €1,190. For the FIFA tournament, a total of two tournaments were organised with a total of 64 participants. Professional players also flew to Malta for the first time ever, including WickyBG, a world renowned professional FIFA player. Kurt Fenech, one of Malta’s most successful international competitors also made a guest appearance and met with the fans. The GO Malta Esports Festival 2018 is endorsed by local and international sponsors, including GO, Gaming Malta and the Malta Tourism Authority.